Climate change is now a mainstream part of the international political agenda. It has become clear that it is not solely a technical issue, to be resolved by scientists, but a political issue with political implications at all levels of global governance. Indeed, some may argue that few long-term problems in international affairs are more important than this one. The purpose of this book is to reveal and apply some of the latest thinking on the implications of climate change for international affairs, and to explore how various proposals for tackling climate change will affect interstate relations in coming years. 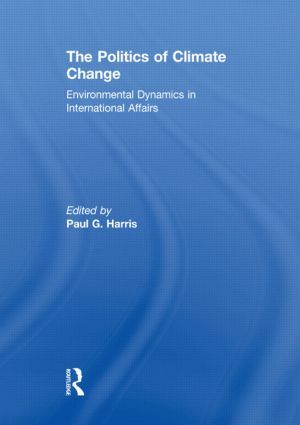 Chapters by scholars of international relations, international political economy and international law contribute to current discussions of climate change, doing so in way that is accessible to students, stakeholders, government officials and informed laypersons. Some questions considered in the book include the following: How has the discussion of climate change affected interstate relations? How does this problem, and how do environmental issues more generally, challenge international relations theory? How do international climate politics influence domestic politics, and vice-versa? How would climate change or action taken to tackle it affect the balance of power or balance of influence? Is climate change a matter of international security or international justice—or both—and how does the answer to this question affect policy responses of governments? Which states are likely to benefit or suffer from the various proposals to address climate change? What are the legal, ethical and political implications of the uneven distribution of the impacts of climate change? This book was previously published as a special issue of the Cambridge Review of International Affairs. Paul G. Harris is Chair Professor of Global and Environmental Studies at the Hong Kong Institute of Education. He is author/editor of Climate Change and American Foreign Policy, International Equity and Global Environmental Politics, The Environment, International Relations, and U.S. Foreign Policy, International Environmental Cooperation, Global Warming and East Asia, Confronting Environmental Change in East and Southeast Asia, The Global Politics of AIDS (with Patricia Siplon), Europe and Global Climate Change, Environmental Change and Foreign Policy, Climate Change and Foreign Policy, The Politics of Climate Change, World Ethics and Climate Change, China’s Responsibility for Climate Change, Ethics and Global Environmental Policy, Environmental Policy and Sustainable Development in China, the Routledge Handbook of Global Environmental Politics and other books.